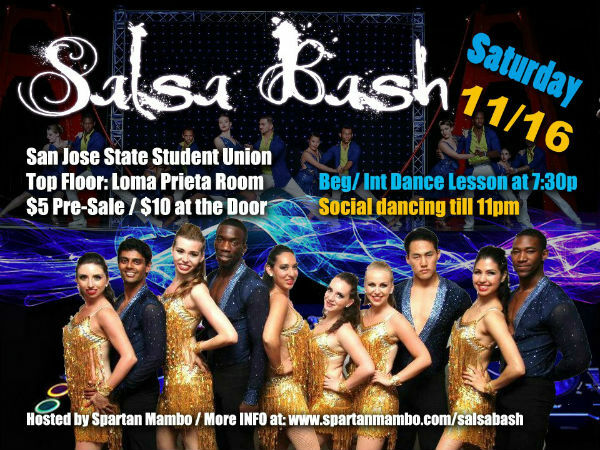 Check out Spartan Mambo’s performance from Saturday evening of the San Francisco Salsa Congress! Spartans, what is your profession?! Spartan Mambo opened the Saturday afternoon show today at the 12th Annual San Francisco International Salsa Congress, one of the largest salsa events in the world! The team will be performing again tomorrow night at around 8:30pm. You can watch the performance streaming live by going to the SF Salsa Congress website. Check out these great photos of our performance from Fire on the Fountain on our Facebook page! Photos by the talented Ramon Farrier. Check out this video of the highlights from our past routine, and come join us at Salsa Bash this Saturday for the debut performance of our brand new routine!